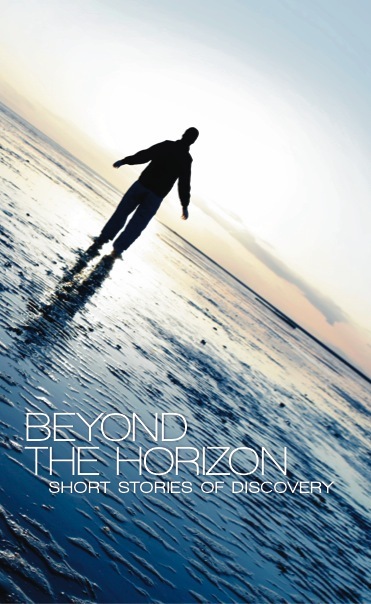 Further to my news that a short story I wrote is to be featured in Beyond the Horizon, a collection by Bamboccioni Books due out towards the end of July, I’ve been given permission to share the front cover with you. I think it’s rather lovely. Makes me feel a little fraudulent though – my story is a bit silly and would probably be more in tune with a raggedy illustration by Quentin Blake. Still, it makes me look good, so I’m not complaining!